It’s bloody difficult to get men engaged in the perfume making process. 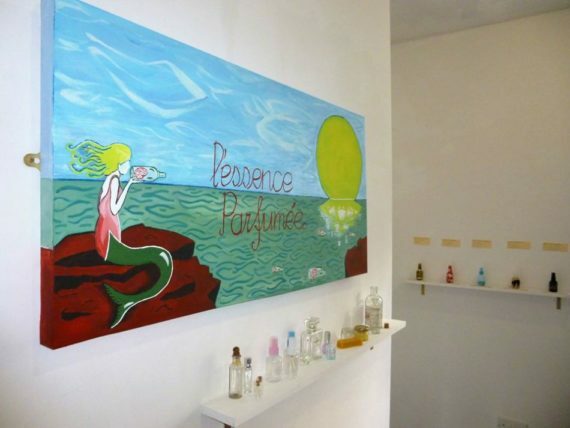 But when they are, they’re fully immersed and tend to create wonderful fragrances. At one point during the year I toyed with the idea of framing the workshops differently, presenting them as almost as science experiments in order to attract more men to them. I decided not to as I didn’t want to sell them on a falsehood. Still, questions around how to get more men interested in the possibilities of fragrance remain. I’m getting better at describing how scents smell. This is a surprisingly useful tool when trying to explain what happens to the aromatic compositions of oils when they combine. I’m by no means an expert in fragrance (and I don’t pretend to be) but using a wider and more informed vocabulary when describing scents helps reinforce my credentials as a fine art perfumer. I’m still learning all the time. And that’s fine as my attendees are always informed of the fact that I’m approaching perfumery differently; from the point of view of an artist. Indeed sometimes my attendees know more than me about the qualities of some of the oils. And that’s fine too; it makes workshops feel more like an exchange of knowledge, which is always welcomed. The process is actually quite performative. Which is good because once again it reinforces my position; I’m an artist, not a perfumer, and a bit of performance directly indicates this. 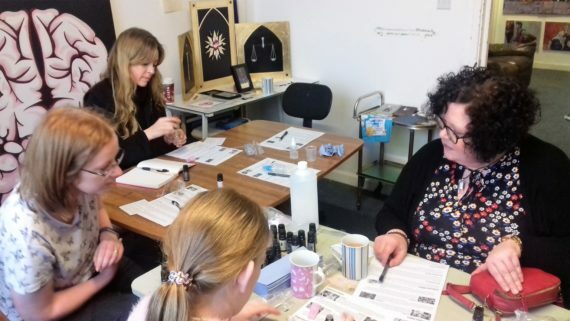 As I now feel much more assured as a fine art perfumer compared to a year ago I think it’s time to improve the quality of my workshop materials. I feel as though the depth and value of the knowledge I impart is of a higher quality compared to last year, but the materials I use don’t reflect this. Maybe I’m being overly critical but it’s certainly something I’m thinking about.